The Cucmber Facts and Summer! Cucumbers are composed of 95 percentage of water which helps to keep your body hydrated and replenish it by eliminating toxins. 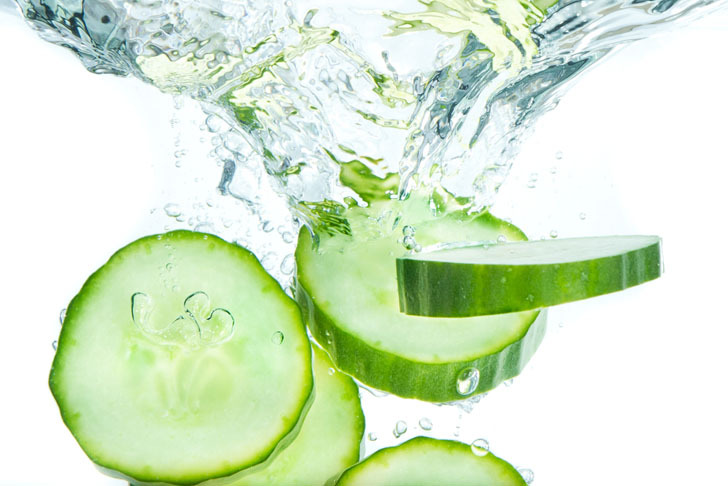 The high water content in cucumber acts as a system cleanser and sweeps waste products out of the system. Cucumbers are rich in fibre, potassium, and magnesium.All these nutrients are effective in lowering blood pressure. It’s mild diuretic properties, owing to its high potassium and water content, also help to regulate blood pressure. 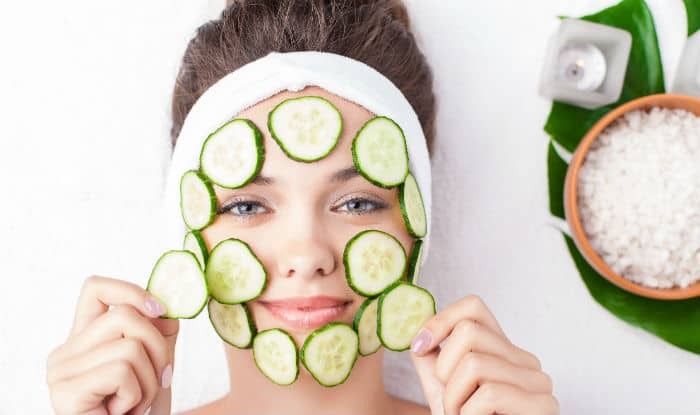 Cucumber soothes the skin.Apply cucumber juice directly to the skin for instant freshness. Cucumber contains potassium and is ideal for dry skin. 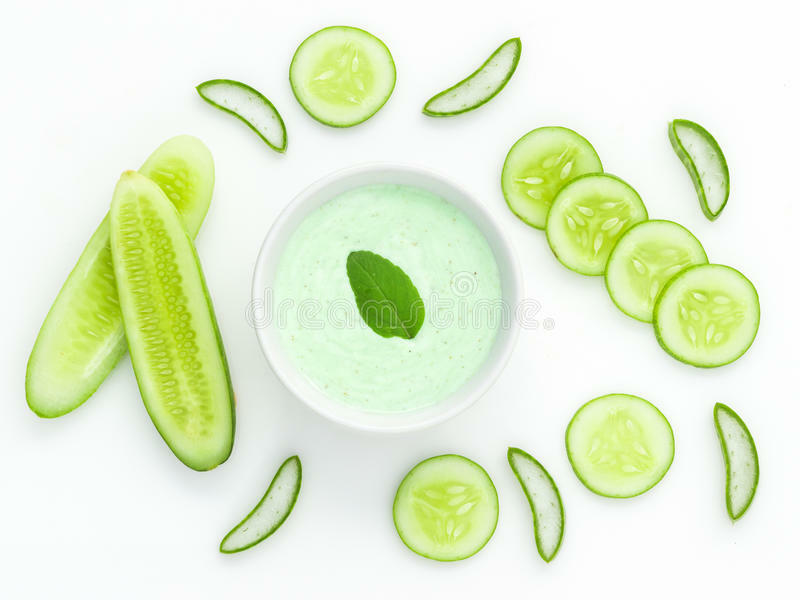 Cucmber reduces dark circles.Keep cucumber slices on eyes everyday for 8-10 minutes for reducing dark circles and puffiness around the eyes. Simply apply grated cucumber for a smooth and refreshed skin. Cucmber helps in treating tanning. 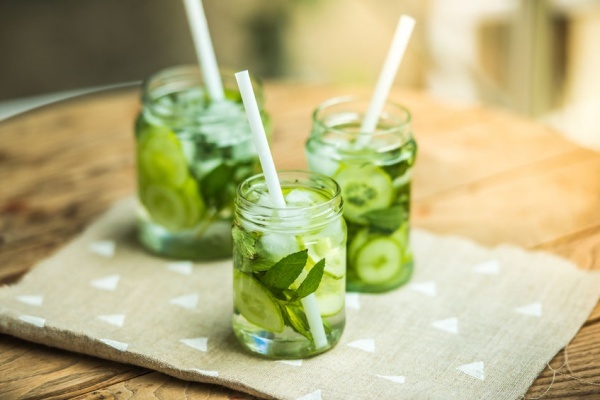 Mix cucumber juice with yogurt or lemon juice and leave it on the skin for 10-15 minutes daily.It will lighten the sun tan and will treat mild sun burns. Cucumbers help to release excess heat in stomach. Hold a slice of cucumber on the roof of your mouth with your tongue for 30 seconds.The photo-chemicals present in the vegetable kills the bacteria that cause bad breath. Cucmber seeds help to reduce wrinkles, fine lines, blemishes and other signs of ageing since it contains potassiium and Vitamin E.
Regularly consume water with added cucumber slices. Cucumbers consist of a generous amount of silica, which is good for nail and hair care. Apart from making fingernails and toenails stronger, eating lots of cucumbers can promote hair growth.